With accommodation at the foot of the slopes and offering a unique experience nestled in natural surroundings with breathtaking views, Flying Nest is the new pop-up concept designed by Ora Ito. An ambitious idea and an inspired designer combine to make Flying Nest – offering mobile and offbeat accommodation in environmentally friendly containers fully decked out with all the comfort of a cozy hotel room and blending seamlessly into the natural landscape. Ora-Ïto, one of the most celebrated designers of his generation, was entrusted with the eco-design of these guestrooms using raw and natural materials. Flying Nest Montage in Avoriaz 1800. The “FLYING NEST” pop-up mobile accommodation concept is this season in Avoriaz 1800. While the Flying Nest concept is completely unique in terms of its concept, design and architecture, it also offers an experience that combines comfort, well-being and closeness to nature. Guests will enjoy a bright living space, a bedroom with a comfortable bed, a modern bathroom and a private terrace. As well as access to a shared living area where guests can enjoy an indulgent breakfast surrounded by stunning views of the mountains, the ski room will look after their equipment until the next descent. All guests have to do is to put on their skis in the morning and head for the slopes! Basically you can get premium comfort and an unique and unforgettable experience right in the heart of the Avoriaz ski area. Flying Nest has opened at the foot of the slopes on December 22, 2018 and will remain opened until March 17, 2019. Avoriaz 1800, a happening ski resort. Outstanding architecture, an incredible concept and unspoiled nature, all in the heart of one of the largest ski areas in the world. Avoriaz, the eternal, the timeless, the ground-breaking, the first totally vehicle-free mountain ski resort where the taxis are horses and sleds, recognized as a major achievement of 20th century heritage, is constantly reinventing itself. Ideally located in the center of the “Portes du Soleil”, one of the largest ski areas in the world, this resort lets guests enjoy the most magnificent views and 600 km of slopes. 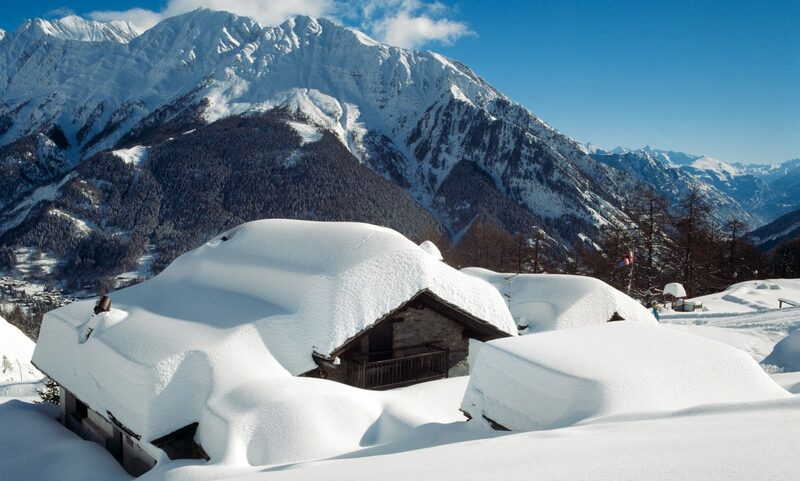 Snow is guaranteed from December to April, with an average of 12 meters of accumulated snowfall every winter. Here visitors can ski and snowboard with family and friends in stunning landscapes lined with fir trees. The resort offers an impressive calendar of major events: with Rock On Snow, Party Fun Live, RFM Winter Week, Rock the Piste, etc., there is something for everyone. Rooms from €150 per night, breakfast included. Week-long reservations only, from Saturday to Saturday. Option to book a minimum of 3 nights except during school holidays. The-Ski-Guru TRAVEL can organise your bespoke ski trip to the Americas, Alps or Japan, including for those going from Britain to Europe, booking your Eurotunnel trip, and for all trips: lodging, lift tickets, rentals, ski school, and all you need for an excellent vacation. Go to https://www.the-ski-guru.com/travel and upload your information – this page will be updated soon with more travel ideas. Check our February offer for Zermatt staying at the Chalet Zen or Penthouse Zen, our amazing Ski Safari in the Dolomites and our Easter offer to Obergurgl-Hochgurgl and Sölden to ski with your family. Or check out how now with the EPIC Pass you can ski in Europe, specifically in Les Trois Vallées and the resorts of Skirama Dolomiti in Trentino’s Italy. Or see our review of L’Héliopic Hotel Sweet & Spa if thinking in staying in Chamonix this winter. Or check out the new Snowpine Lodge in Alta, Utah opening late January 2019. And for those that thought that skiing in Whistler was only for the rich and famous, now the new Pangea Pod Hotel offers them a chance to stay in the cheap in the new cool hotel in the middle of Whistler Village. Featured Image: Room with a View. Flying Nest Montage in Avoriaz 1800. The “FLYING NEST” pop-up mobile accommodation concept is this season in Avoriaz 1800. Previous PostPrevious Wanting to Ski in Whistler but on a Budget? Why not stay at the Pangea Pod Hotel?